In a column last season I mentioned that the 1969 overall World Cup trophy won by Karl Schranz somehow ended up in a barn in Hinesburg, Vermont! I promised a future column explaining how that came to pass. 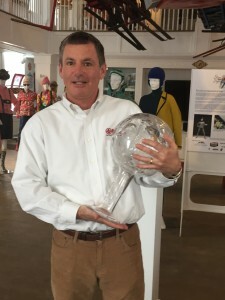 “Ski Racing” journalist Bill McCollom who is also a board member of the Vermont Ski and Snowboard Museum heard about the trophy and began an investigation. He got in touch with European ski journalist Patrick Lang. Patrick Lang is the son of Serge Lang who was the driving force behind the FIS World Cup. Patrick immediately contacted Karl Schranz to ask about the trophy. Schranz assured him that his World Cup trophy was securely on display in the St. Anton hotel that Schranz owns and runs. So instead of answers, there were more questions. The FIS World Cup started in 1967 and the French mineral-water company Evian was the chief corporate sponsor. According to Patrick Lang, Evian had the crystal trophies made and apparently would order extra trophies each year in case of loss or breakage. Evian would make sure trophies were available to be awarded at the final World Cup race of each season wherever it was held. 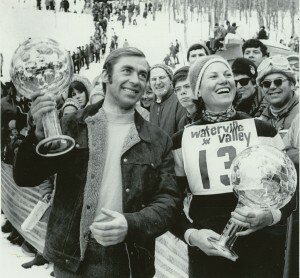 The 1969 FIS World Cup season wrapped up at Waterville Valley in New Hampshire and the overall men’s trophy was presented to Karl Schranz there. Rather than figure how to get the fragile, but heavy trophy back to Europe, Schranz left the trophy with Jerry Depot who was the general manager of Volvo of America Recreational Products. At that time the company distributed ski equipment here in the United States including Kneissl skis that sponsored Schranz. Jerry was friends with Karl and took care of his arrangements and promotional activities in this country. The assumption was that eventually Schranz would claim the trophy and arrange to have it shipped to St. Anton, Austria. 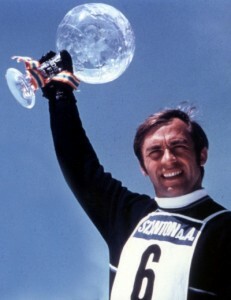 However in May of 1969 Evian presented Schranz with another World Cup trophy at a celebration in St. Anton. That’s the trophy that is on display in the Hotel Karl Schranz. Undoubtedly it was one of those extra trophies Evian had made. Eventually back in the United States the Waterville Valley trophy would end up with Jerry Depot’s son, Darrel, who now lives in Hinesburg. Darrel has made several attempts to get the trophy back to Schranz, but Schranz hasn’t shown much interest. So last spring, Darrel loaned the trophy to the Vermont Ski and Snowboard Museum where it remains on display today. So if Karl Schranz won the 1969 World Cup for the men, who won it for the women? 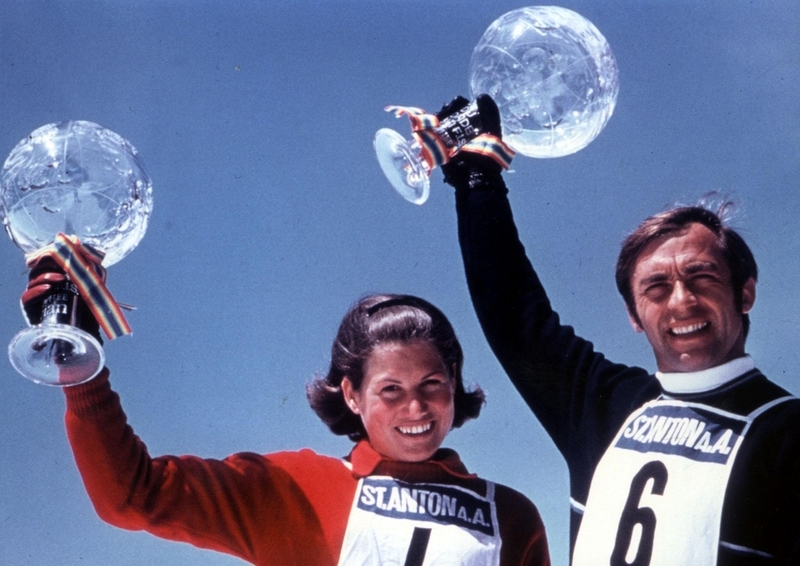 Although she would compete for several more seasons, the 1969 World Cup would be the high point of Gertrud Gabl’s ski racing career. Gertrud would die tragically at age 27 in an avalanche while freeskiing on St Anton’s Rendl North Face in 1976. Today you’ll find 1969 women’s World Cup trophy on display in the Chalet Gertrud Gabl in St Anton. The chalet is owned by Gertrud’s daughter Barbara and is available for your next visit to St Anton. It is located not far from the Hotel Karl Schranz so both 1969 World Cup trophies ended up as neighbors. 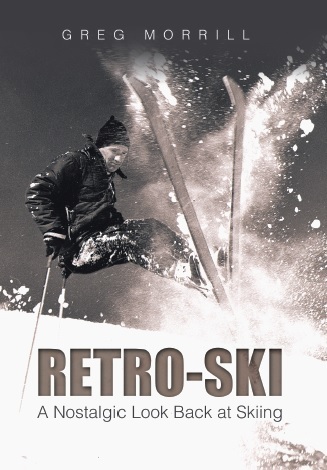 Just discovered “Retro-skiing.com”. \ 51 years on-snow this year and your website entertained me for hours. However, in searching the archives I came across the piece on Hansen Boots. I have to disagree that Hansen was the first rear-entry boot. A company known as “DynaQuick introduced a RE in 1968. A single piece shell with a buckle at the top attached to a cable that wound down the back of the boot. I was going to spend my summer earnings for a pair but was talked out of it by the ski shop owner. Ended up with a pair of Raichle Double Lac instead. Have a little experience with rear entry boots. Worked for Salomon from 1975 to 1990 and was around for the intro of the SX90, SX91, SX92. Thanks for your site. I worked with Pepi senior in the Smiggins Hole ski school NSW. Australia during our winter seasons of 1968 and 69. During 1969 Pepi sen. and jun. were present with Gertrude also present for that winter. Season 1969 was a disaster due to warm weather. Pepi sen. and the rest of the Austrian group spent season 1970 at Thredbow NSW. after which i had no further contact.